Registered Charity, number 1117956. 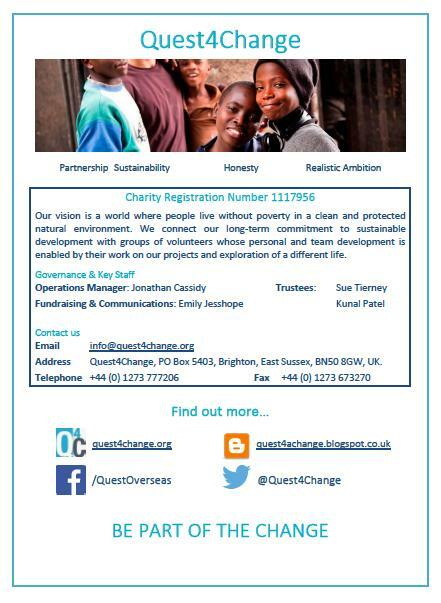 Quest4Change is also a Company Limited by Guarantee, registered in England & Wales. No: 05877731. Quest4Change works with local partner organisations on small-scale grassroots projects that target the specific causes of poverty and environmental destruction. One of our main aims is to improve basic health and education infrastructure for the poorest people living in the communities we work with. We achieve this by providing volunteer and fundraising support to our projects.